liquid-audio has no other items for sale. Details about Neumann U47 FET Collector's Edition Large-diaphragm Condenser Mic + EXTRAS 2DAY! 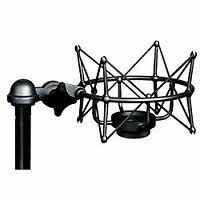 Neumann U47 FET Collector's Edition Large-diaphragm Condenser Mic + EXTRAS 2DAY! *$193 for 24 months. Minimum purchase required. Sales tax may apply when shipping to: AZ*(7.704%), AR*(8.57%), CA*(8.269%), CO*(7.432%), CT*(6.35%), FL*(6.653%), GA*(7.0%), HI*(4.24%), IL*(7.351%), IN*(7.0%), IA*, KS*(8.594%), KY*(6.0%), LA*(9.58%), ME*(5.5%), MD*(6.0%), MA*(6.25%), MI*(6.0%), MN*, NE*(5.86%), NV*(7.883%), NJ*(6.625%), NY*(8.2%), NC*(6.9%), OH*(7.097%), OK*(7.86%), PA*(6.098%), RI*(7.0%), SC*(7.298%), TN*(9.496%), TX*(8.25%), UT*(6.61%), VA*(5.457%), WA*, WI*(5.389%). Personal use items that are used at your mouth or in your ear cannot be returned, unless defective, due to health and legal issues. Customers must contact us within 30 days of delivery to request a returns authorization number (RMA). Product must be in resalable condition. Customer is responsible for return shipping costs. All items returned for a refund are subject to a 20% restocking fee.